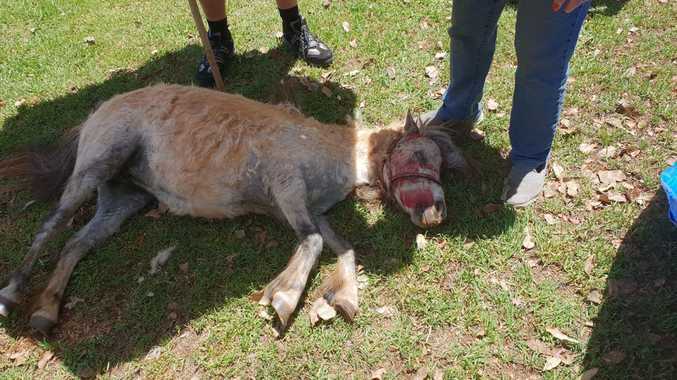 A VICIOUS dog attack on Clementine the miniature pony and Charlie the Clydesdale at Highfields Pioneer Village has left village committee members with no option but to crowd-fund the ongoing care of the animals. 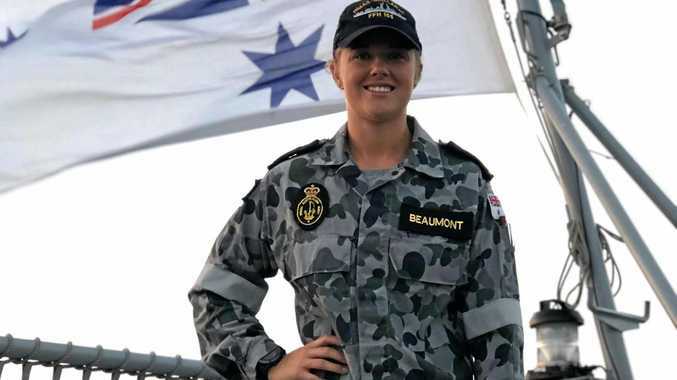 The committee said in a statement that Clementine, who is the knee-high to a human, was mauled horrifically by two Great Dane-Arab cross dogs both bigger than her. Charlie was doing "fine", the committee said. Yesterday morning, the two dogs chased Clementine and Charlie down, before pulling Clementine to the ground, the committee said. One held her down by the throat while the other one viciously attacked her face, nose, jaw, chin and under her elbow and shoulder. Manager Ray Ashford OAM gave chase, kicking the dogs away while fellow volunteers yelled at the dogs, driving them away from Clementine, who lay in shock. Volunteers stopped the bleeding until veterinarian Chris Hagan from Highfields Plaza Vet Surgery attended the scene. Volunteer animal carer Carol Kleinschmidt described the attack as "horrific". "(Clementine) is so small she couldn't get away from them, if the volunteers weren't here early that morning to defend her she would have been dead. 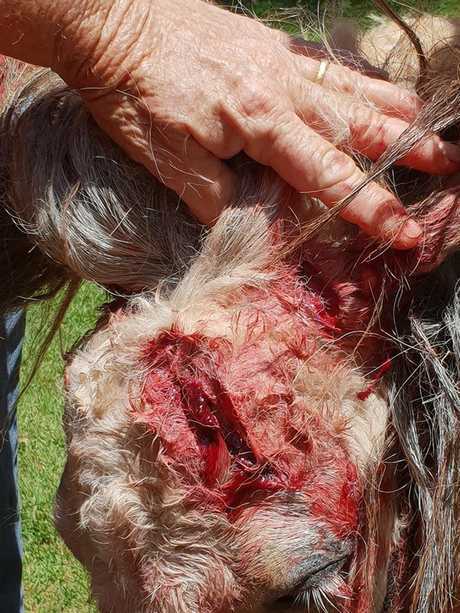 Her neck was completely mauled but thankfully missed the jugular vein," she said. The volunteers have become very attached to Clementine, who was purchased as a companion animal for Charlie. "Charlie was so lonely before Clementine came to live here," Ms Kleinschmidt said. The council has been alerted to the dog attack and are searching for the dogs' owners. 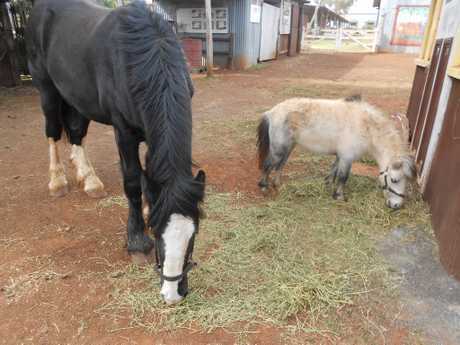 The volunteers of Highfields Pioneer Village are raising money for the ongoing care and protection of their animals. "We need help to pay Clementine's vet bill and she will need ongoing care and protection, not only against stray dogs but our poultry need protection against foxes too." Ms Kleinschmidt said. Highfields Pioneer Village, Museum and Park Inc. is a not-for-profit organisation run entirely by volunteers and have set up a fundraising page for the community to reach out and help with animal care. "We would also welcome practical help as well," Ms Kleinschmidt said. "If you have a spare couple of days to volunteer and help to feed and water the animals that would be appreciated." More details can be found on the Highfields Pioneer Village Facebook page. Easter Vintage Festival: Seeing working old machinery is a feature of the grand parade of Easter Vintage Festival at Highfields Pioneer Village.